The Resorts sportsbook online is taking the NJ sports betting market by storm with a Resorts Sports Bonus Code “MAXFREE”. They have extended their promotions to the new sportsbook by ushering in new players with a welcome bonus. Right now, get 100% of your first bet matched up to $250 with the code. Yes, there is a unique Resort Sportsbook bonus code to claim the welcome package or any other unique deals. However, you can keep coming back to our site for the latest updates, so that you can be the first to take advantage of any future Resort sportsbook bonus code perks, should they be announced. It is not every day you come across a brand-new sportsbook offering new players this much juice from the go. After you sign up, a welcome bonus worth up to $250 in 100% first bet matched rewards is all yours, after an initial deposit of at least $10. In case you aren’t sure how this bonus works, well, basically, it means that the house will double your first bet deposit of amount to a maximum reward of $250. So, if you load $10 for your first bet, you’ll have $20 to play with; and if you deposit $150 for your first bet, you receive another $150 from the house so that you can start betting with $300. Compared to some other sportsbooks in New Jersey, the Resorts Sportsbook online reward is quite exceptional. The Golden Nugget sportsbook reward is a $50 free bet, while here, you have the chance to get up to $250. 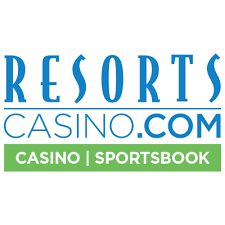 Since its inception, the Resorts Casino has never disappointed players, and now, the Resorts casino sports betting platform is treading on the same footsteps. The Resorts online sports betting platform boasts of hosting a wide range of sporting events to cater to New Jersey sports fanatics with a variety of tastes. If you take a look at their lobby, you will notice that all members are guaranteed a good time particularly in games that are popular in the USA such as Football, Basketball, Baseball, Tennis and Boxing. And thanks to the odds availed, making the right predictions will mean that you get to back some solid returns. You’ll also be happy to know that many of these sports come with some pretty great betting options. For starters, you have the in-play live betting option to participate in the action. And even if you place your wagers before the matches begin, you can make your predictions from options like system bets, combo bets, teasers and parlay boosters at the Resorts casino sports betting platform. At Resorts Sportsbook online, there are more goodies up for grabs apart from the welcome bonus alone. The other Resort online sportsbook promotions that are currently running is the parlay bonus. But first, to understand this bonus better, you should first know what parlay means. In case you didn’t know, a parlay is a combination of bets that are dependent on each other. It’s just like an accumulator, but you only win if all your predictions win. So, at Resorts online sports betting platform, if you accumulate a parlay bets of up to 5 legs or more, you will get up to 60% extra cash if your predictions are accurate. 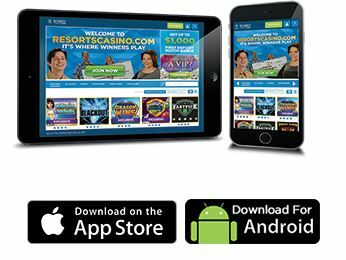 At the moment the only app available is the Resorts casino mobile app which is available on both Android and iOS version. And therefore, for now, New Jersey sports fans will have to stick to the Resorts sportsbook online mobile site. Thankfully the Resorts online sports betting platform is optimized for access across all sizes of smartphones and tablets. Therefore, whether your device is running on Android, iOS or Windows, you can still place bets on your favorite team via your mobile browser. However, we anticipate that they will integrate the Resorts casino sports betting services into the casino app for an integrated mobile experience. The Resort casino sports betting site offers a wide range of safe payment methods for loading deposits and withdrawing from the house. You can deposit and cash out using a credit card or debit cards options like Visa, Maestro, American Express and MasterCard. If you prefer e-wallets instead, Skrill, Neteller, Ecopayz and Boku are supported. The other option is to use is the bank wire transfer channel to deposit and cash out directly from your bank account. Bear in mind that while all buy-ins will reflect instantly, the duration of cashing out depends on the payment method you are using. For the most part, e-wallets are faster compared to credit cards and bank transfers. For the quickest response time, you can use the live chat feature. This will get you an instant answer. Likewise, phone support has a waiting time of a couple of minutes at most. As you can see from this Resorts casino sports betting review, it is pretty evident that the platform is already a remarkable sportsbook that is worth all the attention it is receiving. There is a huge coverage of both local and global sports, coming with numerous betting options and solid odds that promise substantial returns. Why don’t you grab the Resorts sportsbook online welcome package of 100% first bet match up to $250? If you prefer the casino instead, a welcome bonus of 100% match deposit up to $1,000 awaits, you, no Resort sportsbook bonus code needed!